You will often hear the word "subluxation" in the world of chiropractic care, but what does it mean? Subluxation is the basis of chiropractic treatment, and healing them is how this form of natural medicine heals all of you. Learning how to find and correct them is one of the first things a student chiropractor is taught. By the time they become practicing doctors, all chiropractors are well-versed in locating and healing subluxations. A subluxation is a vertebrae that is out of position. The same word also refers to a group of vertebrae next to each other that are all out of their proper positions. When vertebrae are not where they belong, even if they are out of position only by a tiny bit, it can cause a lot of pain in various areas. 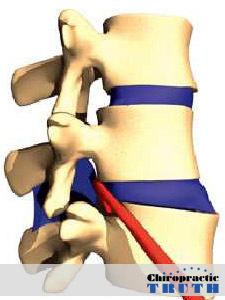 The vertebrae can press on or irritate a nearby nerve, or the roots of the nerve where they leave the spine. This can lead to pain in the back, neck, hip, leg, arm, and even ears. One of the most common cause of chronic earaches in children is subluxations, and chiropractic care is a widely used and accepted means of curing them. What are Some Other Issues Subluxations Can Cause? When our Dallas chiropractors correct the subluxations, these issues go away. You can experience relief in one session, or it may take several sessions to get proper and lasting relief. It all depends on the degree of the subluxation, the number of vertebrae involved in the subluxation, how long you have had the issue that brought you to the chiropractor, and the cause of the subluxation. Some subluxations are caused by obvious reasons, such as car accidents, sports injuries, or falls that put a lot of sudden pressure on the back. Other times, the cause of the subluxation is not known or obvious. Either way, our chiropractors will work with your spine by manipulating it with hands and/or tools to gently move the vertebrae back into place and keep them there from now on, so you will continue to feel wonderful after you leave our building. Contact us to set up your initial appointment for your exam, evaluation, consultation, and first treatment. Once you come to visit us, you are already on your way to getting better. You will be so glad you decided to trust your health and wellness in our chiropractors' experienced, caring, and capable hands. We are looking forward to meeting you and welcoming you to the APEX Wellness Center family. Don't delay. Call us today, and begin the rewarding journey toward your best health ever. We are waiting to hear from you.